Compared to the 2012 butterfly season, which is reported on in the recently posted MBA newsletter, 2013 has been pretty quiet. Missing are the swarms of migrant species like Red Admiral and American Lady. Many of the common resident species seem to flying in relatively low numbers, similar to what was experienced in 2011. But just because butterflies aren’t flying in great abundance does not mean that there aren’t significant discoveries being made. Pepper and Salt Skipper. Photo by Denis Doucet. On June 11, David Dowling collected Jutta Arctic on PEI, the first record for the island during the atlas period. This species is still flying, though it will only be out for another week or two. Look for it at the edges of open bogs and open boggy woods. On June 10, Jim Edsall found a Striped Hairstreak caterpillar on a cherry tree in his Dartmouth, NS yard. This widespread but under-reported species will soon be on the wing. Ken McKenna had Common Roadside Skipper near Sunny Brae, NS, on June 21 and Pepper and Salt Skipper near Glenelg, NS, on June 20, and near Smithfield, NS, on June 21. Jim Elliot had Common Roadside Skipper June 20 near Governor Lake, NS. Both these species are considered rare in Nova Scotia. 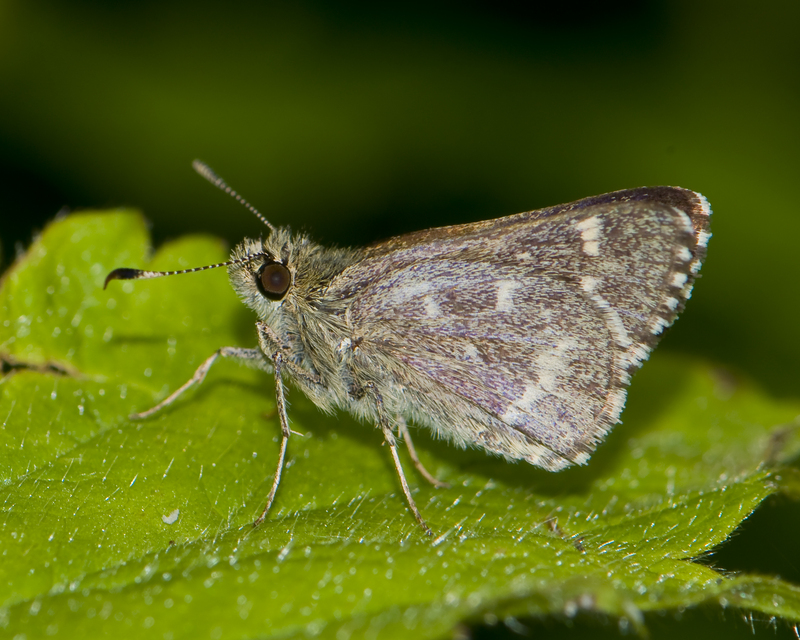 They can be found along the margins of wooded roads and trails, with Pepper and Salt Skipper typically at wetter sites than Common Roadside Skipper. We are entering the tail end of their flight season, but they’ll still be out for another couple of weeks. Silvery Checkerspot. Photo by Denis Doucet. This past week Martin Turgeon had Silvery Checkerspot near Edmundston. During an outing for the NatureNB AGM Denis Doucet and crew also had Silvery Checkerspot, this time on North Bartholomew Road near Blackville, NB. This uncommon species is found in a variety of wooded habitats. It is found throughout New Brunswick has been recorded in the past at South Millford, NS. In the coming weeks PEI participants should keep their eyes out for Common Roadside and Pepper and Salt Skipper. Neither of these species have been reported from the island, but they are both possible. New Brunswick participants should be on the lookout for Greenish Blue and Two-spotted Skipper. Greenish Blue was once fairly common in the northern half of province, but there have been no reports of it during the atlas period. It is typically found along weedy roadsides with an abundance of clover. Two-spotted Skipper is widespread in central and southern New Brunswick, but it has only been recorded in four squares so far though during the atlas period. It is typically found in wet sedge meadows in a variety of wetland settings, including bogs and marshes. It is an avid visitor of flowers, and is often seen nectaring on Blue Flag (Iris versicolor). 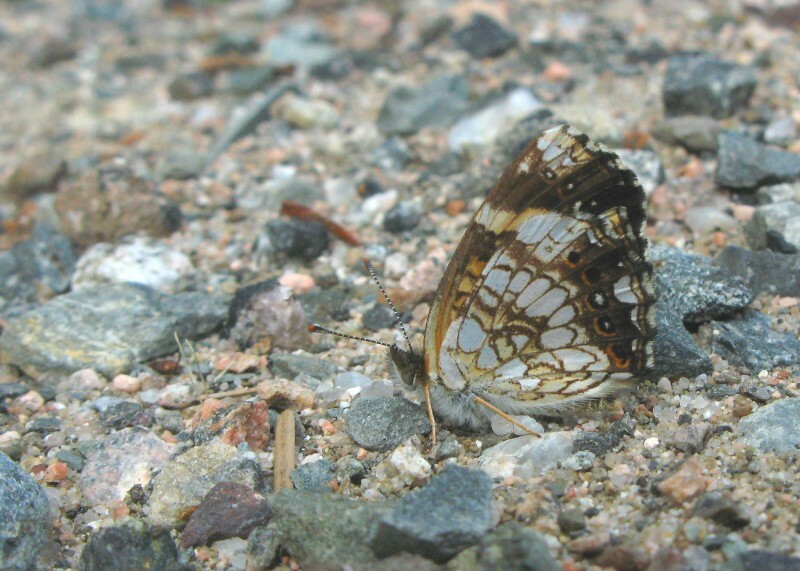 Nova Scotia participants should be on the lookout for Baltimore Checkerspot. This is another wetland associate, occurring at sites where its host plant, White Turtlehead (Chelone glabra), occurs. It has been found in only two NS squares during the atlas period. Atlas results from 2012 have been posted on the MBA homepage, check them out here. Descriptions and images of all the species mentioned in this post can be found here.